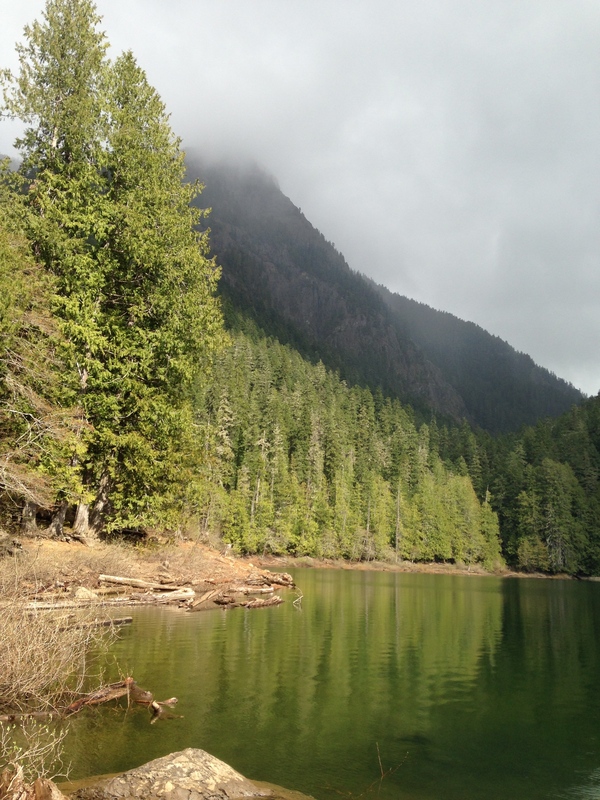 The Lena Lake Trail in the Hamma Hamma River watershed offers a spectacular hike up to a scenic alpine lake and easy access to other trails, including the Upper Lena Lake Trail in the Olympic NP and the path into the Valley of Silent Men in the Brothers Wilderness area. I hiked to Lena Lake (the lower one) with my son in early April. The hike up wasn’t too difficult, though it included lots of switchbacks in the first mile. At the end of this approx. 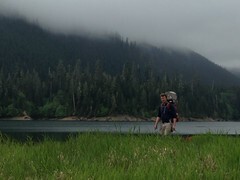 2.5-mile-long trail (5 miles out and back), I was greeted with amazing views of Lena Lake and the surrounding peaks. Many campsites line the western and northern sides of Lena Lake. I expect that this is a popular hike, especially during the summer season. = The trail starts at a steepish ascent and encounters multiple switchbacks during the first mile. 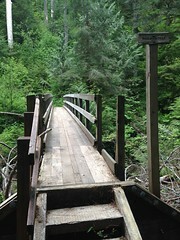 However, once you cross Lena Creek (using a narrow wooden bridge), it rises less gradually. I saw multiple families out on this hike with kids of all different ages. If you do hike it with children, plan on taking some time at the top to wade in the clear waters of Lena Lake and have some lunch along its shore. Lena Lake from a shoreside campsite. = The trail was well maintained all the way up, thus another indicator of its popularity. 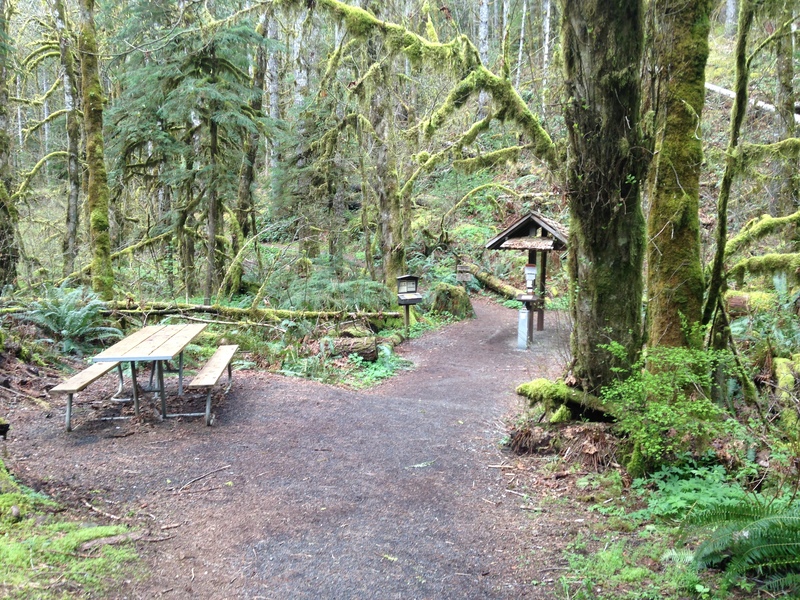 Some pit toilets and picnic tables are located at the trailhead, as is a hiker register and bulletin board. Parking is limited and located on both sides of the road so use caution when crossing the road to the trailhead. = Located roughly 30 to 45 minutes north of Hoodsport, the Lena Lakes area is beautifully serene and rural. 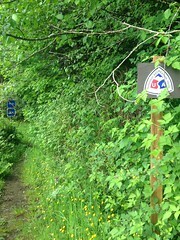 Access the trailhead via North Hamma Hamma Road (NF-25) a few miles past the Hama Hama Seafood Co. Store. I saw at least two campgrounds, Hamma Hamma and Lena Creek, off of N. Hamma Hamma Road (though both campgrounds were closed this time of year). If you plan to backpack in and camp at Lena Lake, read this information as camping there is very popular. Crossing Lena Creek about halfway up the trail. 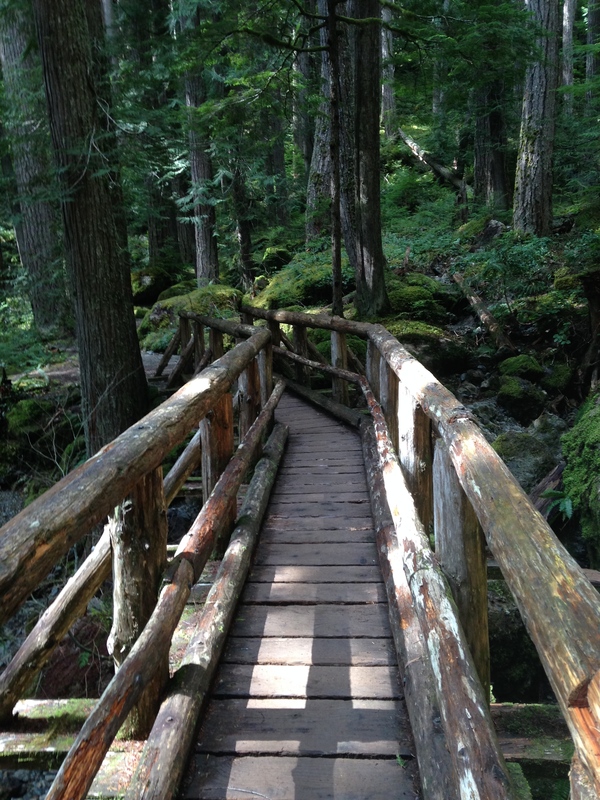 = The Lena Lake Trail traverses some interesting and scenic environments, passing through old growth forests, across and alongside creeks, and over an ancient rock slide. 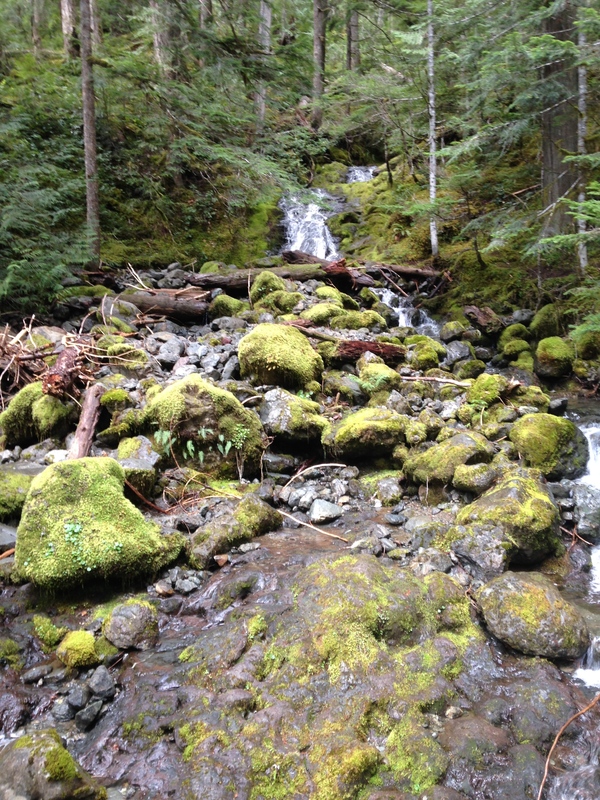 As I crossed over Lena Creek, I was surprised at the dry creek-bed given the raging creek I had just climbed up next to. I think that Lena Creek must disappear beneath the boulders right at the place hikers pass over it. At the Lena Lake viewpoint at the top, hikers can access even more diverse environments by taking a spur trail to Upper Lena Lake or by skirting around Lena Lake to the trail to Valley of Silent Men and technical hiking routes to the summit of the Brothers’ South Peak. 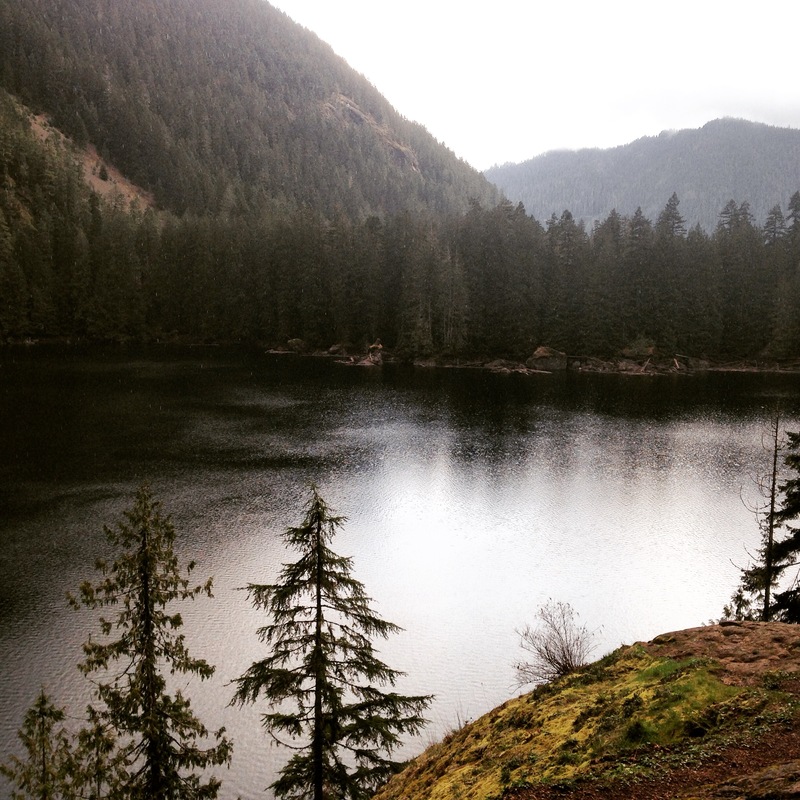 Where: To get to the trailhead from South Sound, follow Route 101 towards Port Angeles through Hoodsport. Roughly 20 minutes past Hoodsport, you will cross the Hamma Hamma River. Look for N. Hamma Hamma Road/NF-25 less than a mile past the river. Follow N. Hamma Hamma Road about eight miles to the trailhead. When to Go: From what I’ve read, this trail is very popular. When I hiked it during the middle of the week in early April, I saw perhaps 40 or more people along the way. I recommend hiking it outside the busier summer season. Trail Information: The trail starts off with some steepish switchbacks in the beginning before leveling out. Several rest areas are located along the way and some of them include benches. Most of the views along this trail look out over Lena Lake, though you will encounter at least one viewpoint looking eastward located about two-thirds of the way up the trail on the right-hand side. 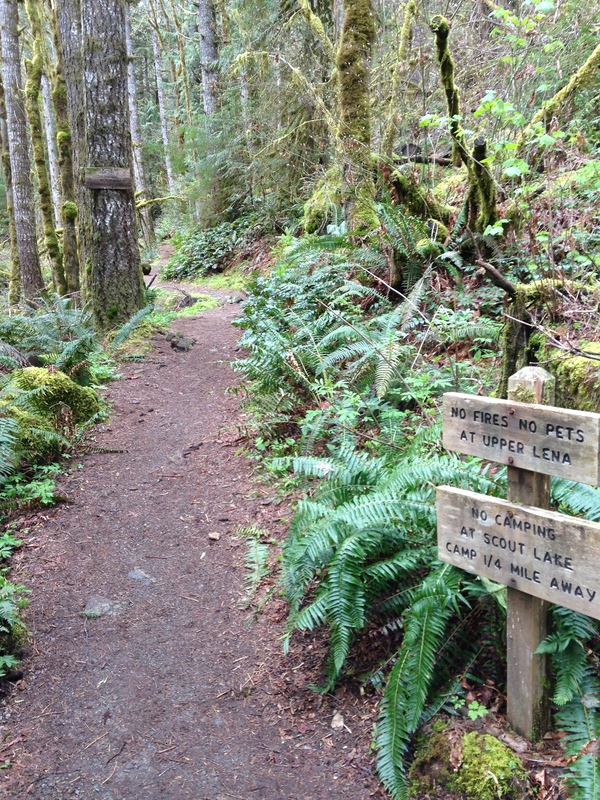 Before you go, check out this trail information and trail map from the National Forest Service. To park at the trailhead, you will need a valid recreational pass like those listed here. Finally, you can have dogs on the Lena Lake Trail and adjoining Brothers Trail, however, dogs cannot accompany you to Upper Lena Lake and into the National Park. ← What’s Your National Park?